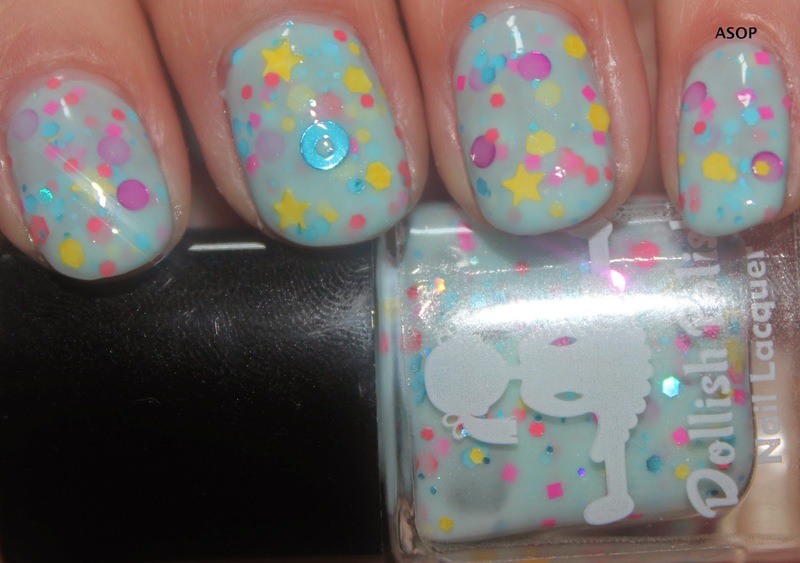 Brain Freeze is part of the latest, We All Scream for Ice Cream collection! 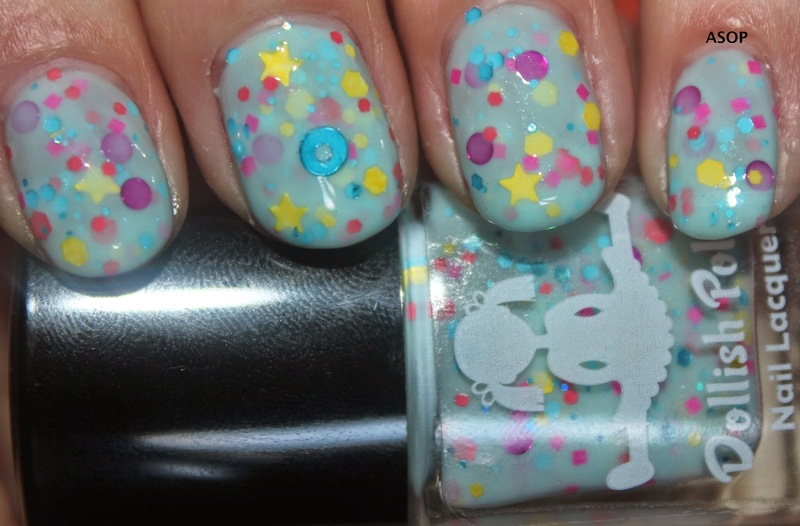 Brain Freeze, is a cute blue creme with a slight bluey-purple shimmer, it's packed with glitters in different shapes, sizes and colours; stars, hexes, squares and dots, in yellows, reds, pinks, and blues. I only had to fish for a couple of the stars, the rest came willingly :). 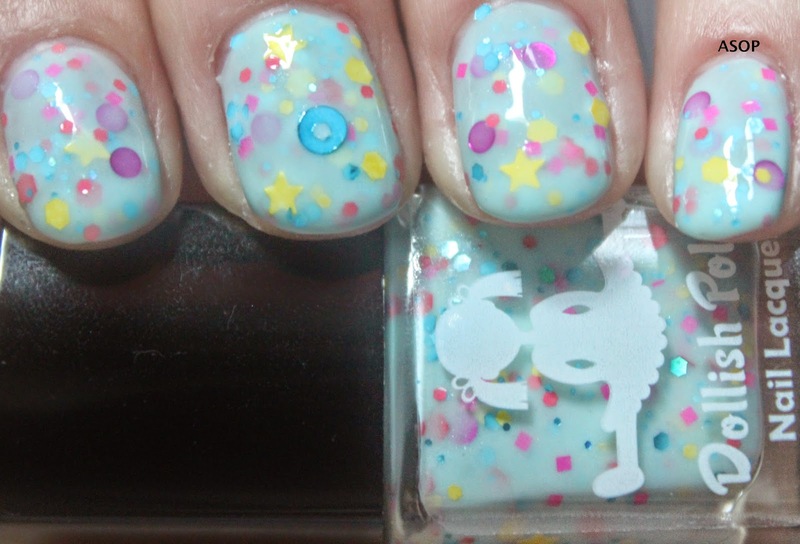 This was two coats, it needs 3 for more opacity.